Jeff has lived in Southern California all his life. After graduating from U.C. San Diego for his undergraduate studies (B.A. in History), he attended Westminster Seminary California where he earned his seminary degree (M. Div) in 2002. He has been involved in pastoral ministry for over ten years, serving in various churches in San Diego, Burbank, and Fullerton. 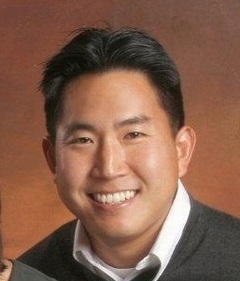 In June 2011, Jeff was commissioned to plant a new church in the city of Irvine. He is an ordained minister in the Presbyterian Church in America. Jeff and his wife Helen are busy raising three children (Megan, Noah, and Seth). He is an avid soccer player who enjoys playing the piano, spending time with friends, and getting to know people over a good cup of coffee.